Jura vs. Saeco Comparison: Which Expresso Machine Brand Is Better? 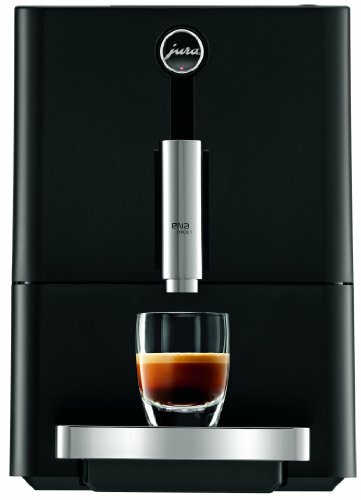 As a dedicated, keen home barista, you’ll already be aware that there are a LOT of automatic coffee machines out there in the marketplace. Jura and Saeco are two heavyweight brands, both with dedicated followers who insist that their choice is the best buy. But when it comes to Jura versus Saeco, which is the best brand for you? Buying an automatic coffee maker can amount to a substantial investment, so you need to be confident that you’ve made the right decision. Well, yet again coffee fanatic, we’re here to help. Jura has an excellent reputation as a maker of high-quality coffee machines that are constructed to last a lifetime. Jura machines will continue to reliably produce delicious coffee time after time with little requirement for maintenance or repair. However, the old maxim “you get what you pay for” applies here. Jura are not the cheapest coffee machines on the market, but you will enjoy professional results and reliability if you buy one of their products. Jura coffee machines are endorsed by none other than world-conquering tennis ace, Roger Federer. Freshly brewed coffee is clearly good for your health! Saeco also produces excellent coffee making machines, but their brand falls into the more affordable range for most coffee consumers. The Saeco brand is owned and manufactured by electronics giant, Philips. So, that’s a little bit about the two brands. Now, what about the products? We’ve reviewed comparable machines made by both brands. Check out the one-click links to see the full product specification of each machine. This neat, super-compact machine is ideal for those with limited counter space who still want to enjoy great coffee. Homebrewers can choose between using convenient coffee pods or their favorite grind. The 15 bar pressure pump gives you exceptional flavor at very low cost. The included steam wand and frother are nice to have if you’re a fan of frothy drinks. 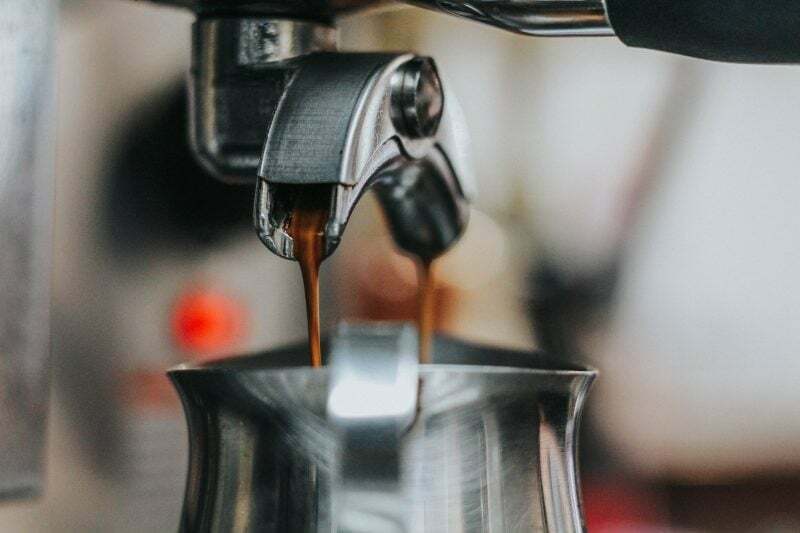 The machine does not have a built-in grinder, so for a bean-to-cup experience, you’d need to buy a separate grinder or use ready-ground coffee from your favorite coffee shop. Saeco’s thoughtful design process shows here. The machine is small and lightweight, but there’s also space to store four cappuccino cups on top of this coffee maker. We reckon this is an ideal purchase for home baristas with limited counter space and a smaller budget. Jura’s small lightweight automatic coffee machine is a bean-to-cup marvel! The machine has an automatic energy saving mode that may save you some cash on fuel bills while easing your eco-conscience. The preheating mode means that you can have a hot cup of coffee in double-quick time. There’s a built-in grinder that’s constructed to a very high standard. The main drawback to this innovative piece of kit is that it does not come with a milk frother. However, if you prefer your espresso pure and unadulterated, this might not be an issue for you. 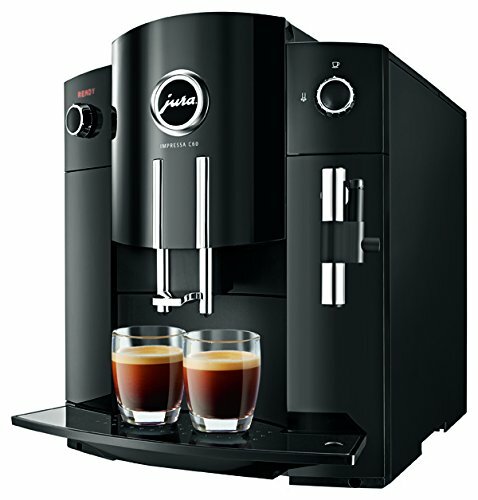 This is an excellent budget coffee machine that’s perfect for those who want professional standard java at a low cost. The machine is easy-to-use, and you can choose between pods for a brew in a hurry or your favorite grind if you prefer. The 15 bar pressure pump and included stainless steel cup warmer assures you of a hot cup of coffee and maximum flavor. Easily adjustable controls are ideal for those who don’t like fussy control panels and too many buttons; keep it simple stupid, right? The Poemia will give you good-quality coffee at a very affordable price. There’s also a decent warranty included in the cost, but the machine is so well-made and reliable, it’s unlikely you’ll need it. The impressively named, Impressa Automatic Coffee Center has a neat rotary switch operation, so there aren’t lots of buttons to work out. This machine is beautiful in its simplicity. The 15 bar pressure pump is built to last and certainly delivers! This machine has a 64-ounce water tank, so you’ll be able to make a good few cups before having to stop and refill. The spout is adjustable to accommodate different cup sizes too. The Coffee Center is slightly heavier than other comparable models, but that is because the components used are of exceptionally high-quality. There’s very little to criticize with this machine. The detail in this model is truly exceptional, as is the craftsmanship. We think this machine would be ideal for a household where there are multiple java drinkers or for a small office where the boss wants to keep his brew-loving staff members motivated and happy at work! So, home brew coffee lovers, where does all this leave us? Making a comparison between these two brands is not an easy process, largely because they inhabit such different price brackets. If you have a larger budget at your disposal, then the Jura is the most likely choice for you. The machines are all fully-warranted, and Jura’s customer service is excellent. 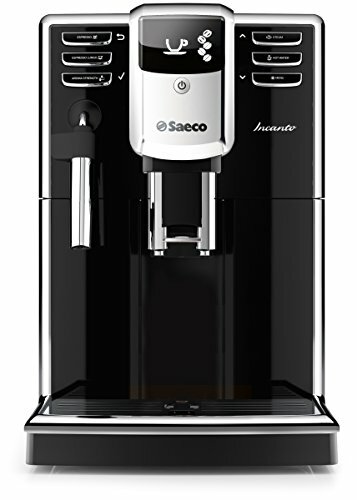 For those looking to buy their first automatic coffee machine or for those home baristas on a budget, Saeco might be the way to go. Bear in mind though that Saeco machines tend to be simple. If you want more bells and whistles, top-quality integral grinders, etc., Jura might be more your bag. Unless you’re happy to drag your coffee machine out of the cupboard every time you want a brew, you’ll want to keep your coffee making kit readily on hand. With this in mind, it may be worth spending more on a machine that has more space-saving, built-in features such as grinders, milk frothers, etc. Before you decide that you can’t afford an expensive coffee making machine, it’s worth considering how much you spend on coffee annually. Most coffee lovers don’t realize just how much they lay-out on barista coffees, and it may not take long for even an expensive coffee maker to pay for itself. How serious do you take coffee? If you’re buying a coffee machine for your use and you’re a confirmed coffee nut who likes to get creative with their brewing and enjoys a high-quality cup of Joe, you’ll want to spend as much as you can afford on a coffee machine. If you’re a single cup drinker, a machine with a small capacity won’t be a problem. However, if you don’t want to have to fill the machine’s water reservoir too often or you want to make two cups at once, you’ll lean towards a machine like the Jura Impressa that has a 64-ounce tank. So, given all the above information, we reckon that Jura is the brand of choice where cost is not a significant consideration. 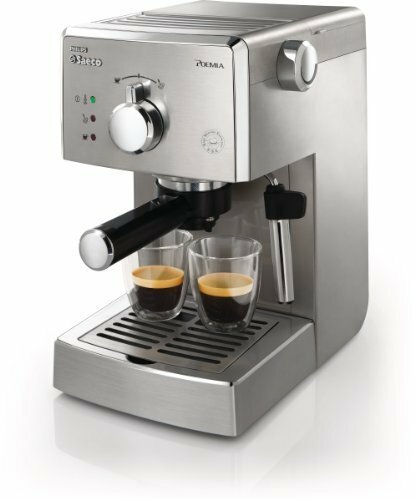 The Impressa is a brilliant choice for those bean-heads who crave multiple cups of excellent coffee or who like to entertain. Alternatively, the compact Ena 1 is perfect for those with limited storage space and has the advantage of a top-quality, integral grinder. That said, Saeco is still a good brand from a manufacturer with an undisputed pedigree. For those with limited funds or for folk at the beginning of their home brewing journey, Saeco would be a less expensive option, while still assuring you of a decent brew. Espresso vs Cappuccino: What’s on Top? Don't want to embarrass yourself on that upcoming coffee date? Read on as we put cappuccino vs espresso and discuss how to tell when you're getting the real deal with these two classic Italian drinks. Learn everything you need to know to brew espresso in a Moka Pot so you can easily enjoy an amazing espresso in the comfort of your own home. Picking a side an be hard, especially if both sides seem nearly identical. Such is the case with many espresso and milk based drinks, particularly cappuccinos and lattes. But don't worry in this article we put cappuccino vs latte to help you pick the team that's right for you in this heated espresso debate. Breville vs De’Longhi: Which’s Better for YOUR Countertop? Whether this is your first piece of brewing equipment or your 21st, chances are you've come across both of these reputable brewing brands. But which one is better for YOU? Read on for the full breville vs De'Longhi breakdown. Best Moka Pot: What’s the Top Stovetop Espresso Maker? Absolutely addicted to espresso? Us too. But we get that not everyone can afford a real-deal espresso machine. So, our team at Roasty has put together a guide on the best moka pot you can buy. That way, you can get great espresso-style coffee without killing your budget. Not everyone's tastebuds can commit to the full intensity of an espresso shot, so why not mix it with milk?Read on for a full comparison of two of the most popular milk+espresso drinks: macchiato vs cappuccino.